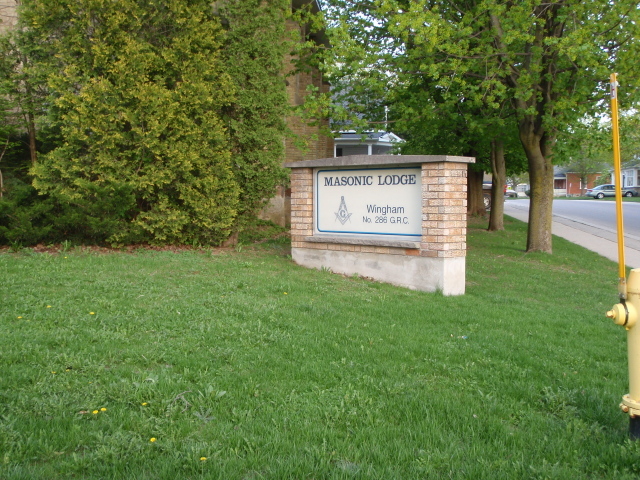 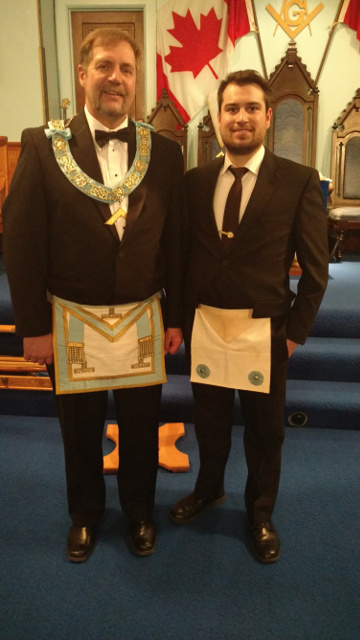 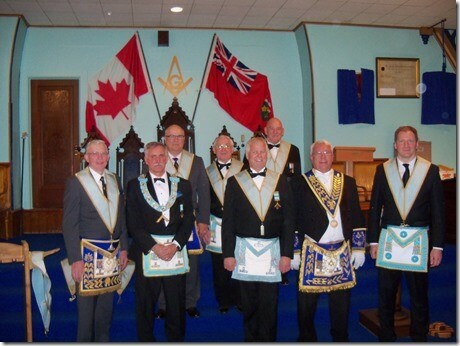 Wingham Masonic Lodge Long Service pin recipients at December 1st, 2015 meeting. 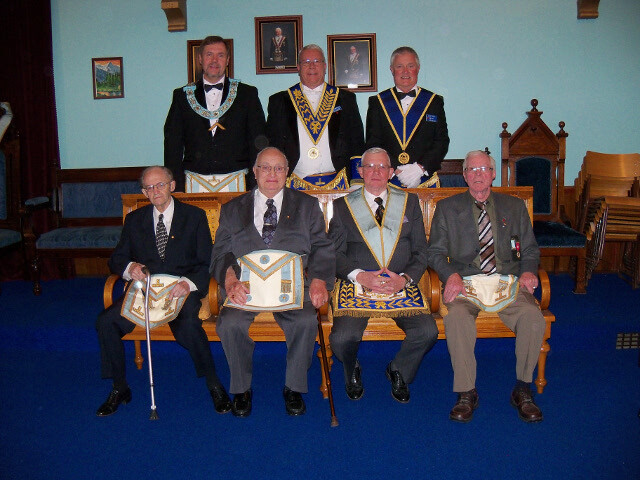 Front row: Jack Goodall 60 years, Glen Walden 60 years, John Carswell 25 years, and Lorne Hamilton 25 years. 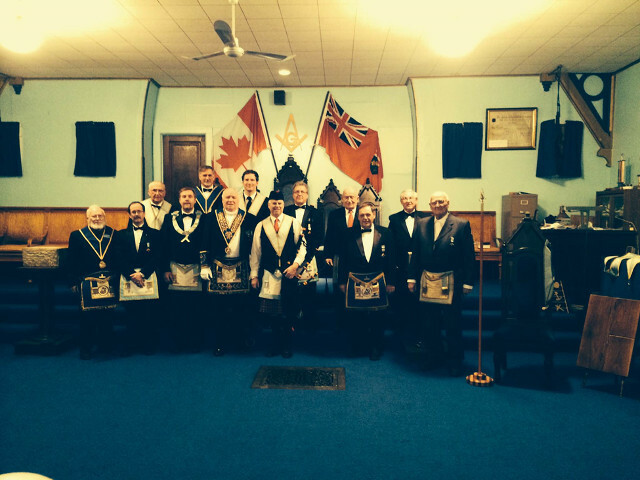 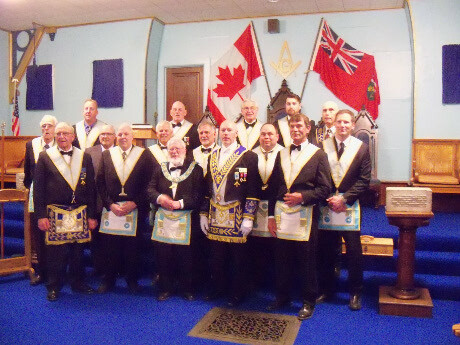 Back row: Bill Aitchison Master of Wingham Lodge, Murray Fleming District Deputy Grand Master of North Huron District and Dale Edgar Grand Steward. 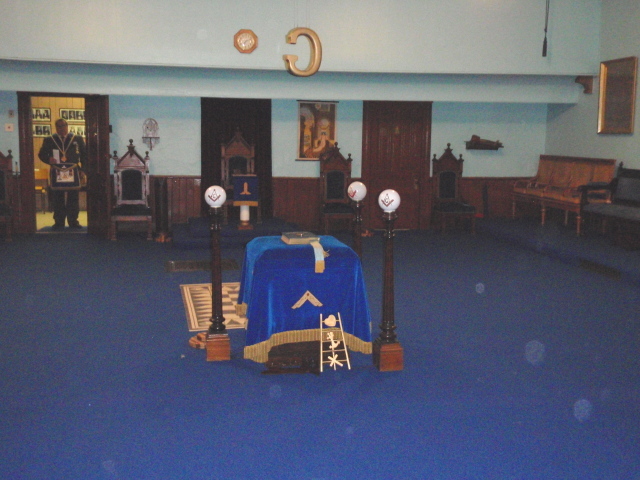 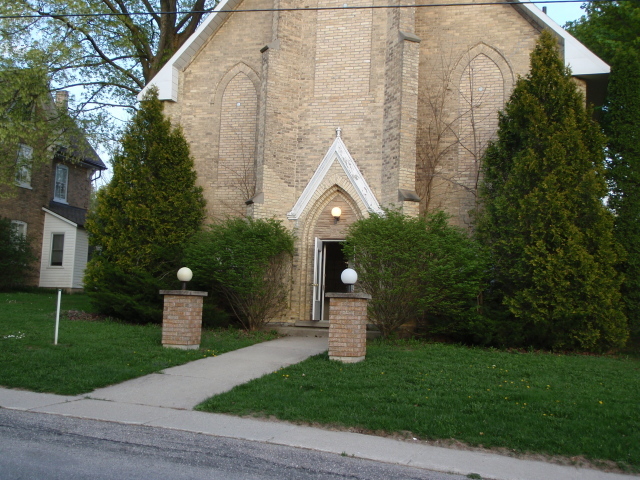 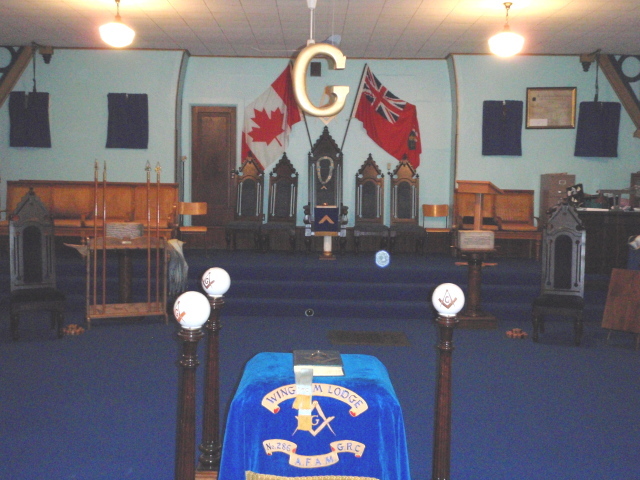 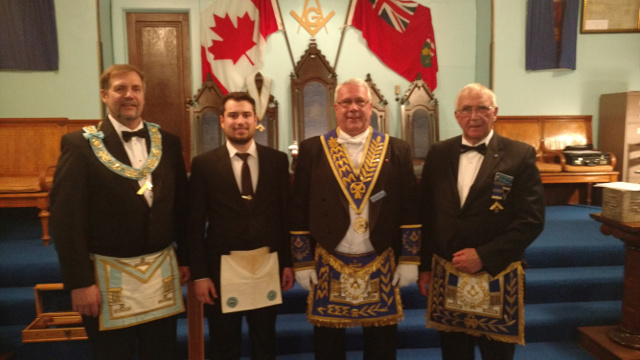 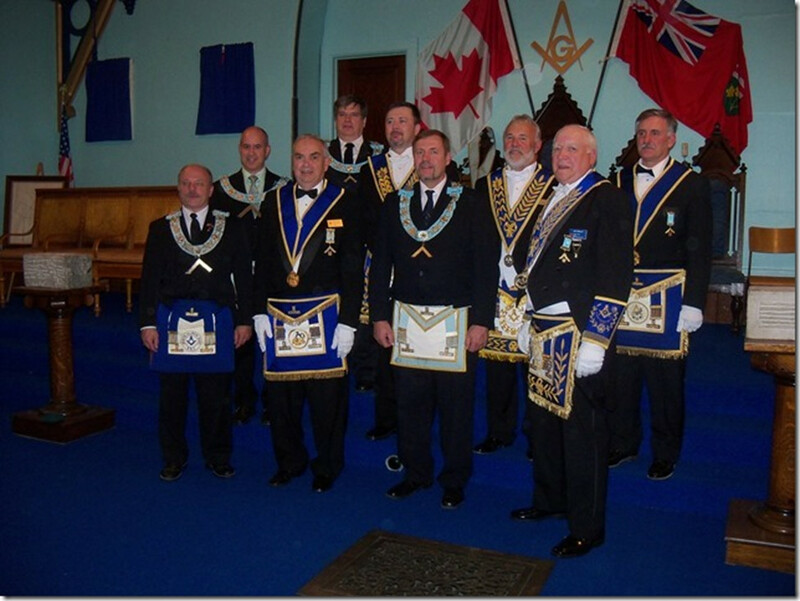 Front row: John Carswell Director of Ceremonies, Jim Dore Master, Kelly Church Junior Warden, Murray Fleming North Huron District Deputy Grand Master and Richard Al Junior Deacon. 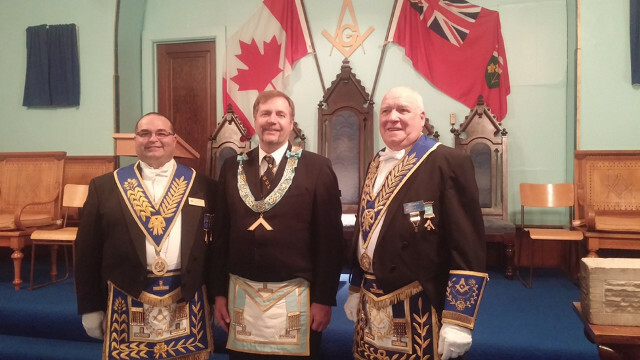 Absent from photo are: Past Master Bill Aitchison, Chaplain Archie MacGowan, Treasurer/Inner Guard Ron Clark, Assistant Secretary Bill Clark, Senior Deacon Allen MacDonald and Tyler Kevin Pletch.